After the death of Linly Heflin in 1919, members of Red Cross Unit No. 2 were called together by Mrs. Joseph Norman who organized the group under the name of the Linly Heflin Unit to carry on as a community and charitable organization. The first project of these 30 charter members was the Children’s Hospital. The Linly Heflin Unit assisted in the Christmas Doll Bazaar and raised funds in other ways to endow in 1920 a hospital ward known as “The Linly Heflin Memorial Ward.” (The bronze plaque recognizing the memorial was moved to the new Children’s Hospital on Birmingham’s Southside in 1963.) Linly’s sister, Mrs. Henry Simms (Alice Graham) was among the original charter members. Historically big changes were sweeping the country when the 19th Amendment granting women the right to vote in all United States elections passed on August 26, 1920. Ahead of the time, members of the Unit changed course and focused its mission on giving young Alabama women a chance at higher education. Back in those days it was more the exception than the rule for women to even attend college. Despite that, the Unit awarded two scholarships in 1923 to the State Institute of the Blind in Talladega now called the Alabama School for the Blind. By 1924 the Linly Heflin Unit had grown to an organization of sixty women. Between the years 1924 – 27 annual fundraising Mardi Gras- style Balls were given for the benefit of the Scholarship Fund. 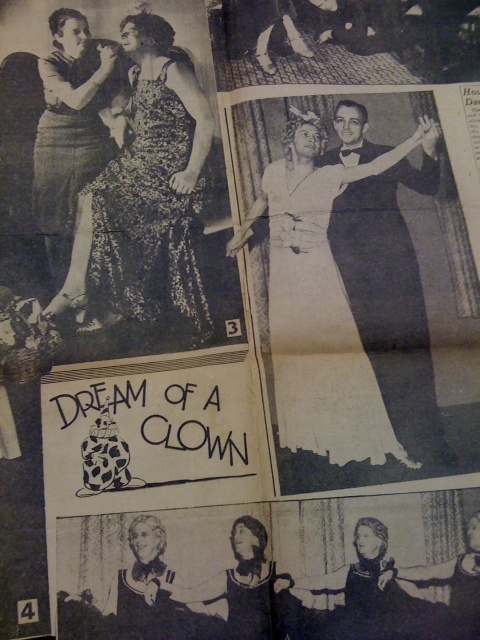 The themes of these Balls covered many periods, and included the initial “Peach Blossom Ball”, “Mah Jong,” “Elizabethan,” “Calico Ball,” and “Rainbow Ball.” Between the years 1932- 1940, the Great Depression years, the Linly Heflin discontinued their balls and resorted to many different projects to raise funds. February 20, 1935 was declared Linly Heflin Day” at Loveman’s Department Store in downtown Birmingham. Purchases made benefited the Linly Heflin Educational Fund. Linly Heflin President, Mrs. Frank P. Samford is quoted in the Birmingham News, “This is something so dear to the hearts of the 75 members of the Linly Heflin Unit. 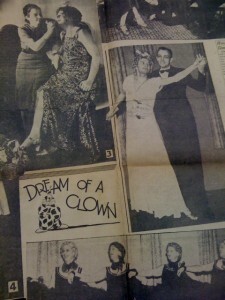 We hope our friends will join us in making this day at Loveman’s a glorious success.” One of the most memorable and highly publicized fundraisers was a 1939 dramatic extravaganza entitled “Dream of a Clown” with an all male cast composed of eighty prominent Birmingham citizens, mostly acting out roles as women. In 1940, a handwritten book of recipes and illustrations was published called “Oven Magic” and was sold to raise money for the scholarship fund. 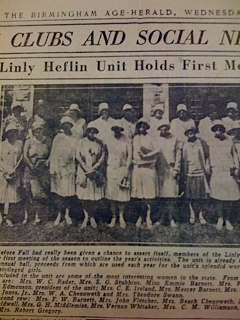 Throughout its history, the Linly Heflin Unit always operated a Memorial Fund to finance higher education for Alabama girls but in 1959 the membership elected to establish a Scholarship Trust Fund making sure all monies raised from members and community sources funded college scholarships. On August 25, 1959 the Unit was given corporation status making it a non-profit organization. 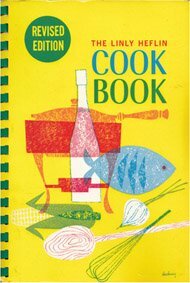 In August of 1962, a newer version of the “Linly Heflin Cookbook” was sold. It was highly successful and went on to five more printings, the last in 1981. Since inception in 1919 all work has been done by its volunteer membership eliminating the need for administrative salaries. It was always the intention of the Unit to keep membership small and today the membership is still limited to 125 members. The Linly Heflin Scholarship Luncheon and Fashion Show which was first sponsored by Loveman’s in 1959 continues to be its primary fundraiser. In September, 2008, the Unit marked its 50th Anniversary and recognized a 25 year partnership with well known Birmingham clothier Gus Mayer. Throughout its history, over three thousand four year scholarships totaling more than five million dollars have been awarded to deserving young Alabama women to attend colleges and universities.